The Rolling Stones will play the Glastonbury festival for the first time when they headline the Pyramid Stage this Saturday night. Glastonbury is billed as the largest music festival in the world, attended by 175,000 people. For Mick Jagger, the event is both a homecoming and a family affair. 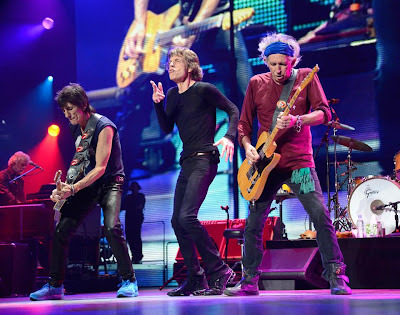 Following their festival appearance, the Stones will play London’s Hyde Park on July 6 and 13.